Lejer, de vara. Partea a 2-a. Baby Ford, the man behind tracks released at Perlon and Trelik that reshaped our perspective on electronic music. 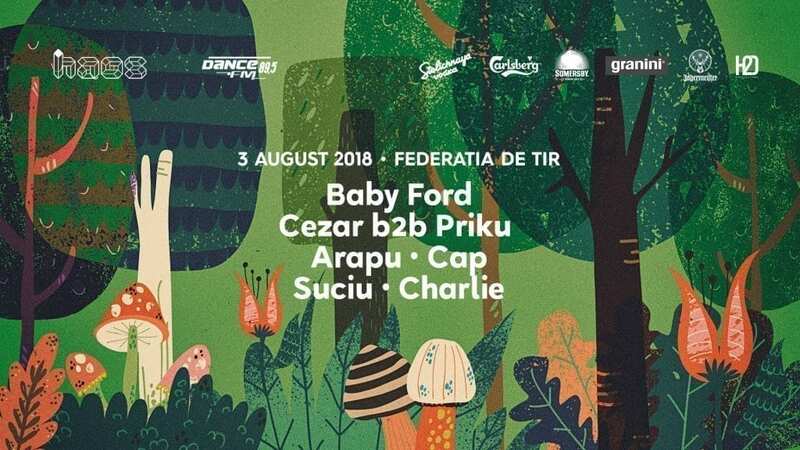 Cezar b2b Priku, an utterly amazing combination that turned itself into a yearly tradition with 3 years in a row Arapu, Cap, Suciu, Charlie: an almighty squad of local superheroes, set to prove once again that the Romanian crafted vibes can bend the time-space continuum. Come early. Bring sunscreen as we’ll take it way late into the morning.